It has been said that you should never lose – you either win or you learn. While this saying makes perfect sense for a motivational speech for a sporting event, can it be applied to your construction business? Easy answer – YES. Apply it every day. Multiple times a day if necessary. Trust me, if you are pursuing any type of excellence in your work, you will need to apply this statement many many times over. Estimating omissions, scheduling overlap, cash flow shortage, lack of communication, improper insurance coverage, less than favorable contract terms or perhaps no contract at all – these and multiple other similar type mistakes can, do and will happen to the very best of us. I’ve had the good fortune to have someone consistently reminding me over the last few years that “Its not IF you make a mistake because you WILL and what matters is HOW you handle that mistake WHEN it happens”. Think about it a little longer. We’re all human. We all make mistakes. Daily. Let that sink in for a minute. Knowing that its going to happen. How should we handle mistakes? You really have two options. A) Sweep the mistake under the rug and hope that no one will ever notice or determine that you made it. B) Own it and learn and grow from it. Option A – This is highly NOT recommended. Not only is it dishonest, it is typically NOT in the best interest of your long-term business or the best interest of your customer. You also do not give yourself the chance to fail forward and grow from the mistake that was made. Sure, it can be embarrassing or even cost you money, but the losses are usually short term and can be corrected over the long haul. Even if it is a major mistake, covering it is not the best course of action. Attempting to hide a mistake can create a lack of trust between you and your customer, between you and your subcontractors/vendors, between you and your employees. This lack of trust can be a slippery slope that can turn catastrophic to your business. Option B – Own it. Its hard, its tough, but its all part of being at the top of the ladder in your business or on a project. Remember that when you point a finger that there are three more pointing back at you. Sure, sometimes that are legitimate reasons that have caused the mistake to happen. Sometimes those mistakes are completely out of your control. However, when you are at the top, the responsibility still falls on your shoulders. Besides just being the right thing to do, being open & upfront about mistakes will help you to build trust with those around you. This trust will be a greater long term benefit than the short term pain of owning up to a mistake. Again, OWN IT. FAIL FORWARD AND LEARN FROM YOUR MISTAKES. The only way to do this is to be honest with yourself and those around you about the mistake. It bears worth repeating: “Its not IF you make a mistake because you WILL and what matters is HOW you handle that mistake WHEN it happens”. Mostly small errors or omissions, but sometimes they are bigger and more obvious to the bottom line of a project or the company as a whole. Scheduling, estimating, communication, contracts, etc. – it happens to all of us. Over the years, I’ve made some sizable mistakes that have been costly. Early on in my estimating career, I made a five-figure mistake just by simply not transferring my metal roofing takeoff to my final cost sheet. The mistake was discovered halfway through the project when we were ordering the metal roofing material and I realized that the cost was a lot higher than I had in the budget. After some investigating, I found that I had done the initial takeoff accurately but only transferred half of the list to the cost sheet. No one to blame but myself. Own it. Eat it. Move on. But you can bet that I now double check my triple check on every estimate and take off that I do before presenting it to a customer as a final price. One would think that I would have learned that one lesson early on and not made any more mistakes moving forward but I’m human and mistakes happen. Our learning and growing and failing and getting back up again never ends. I have miscommunicated expectations to customers, caused scheduling delays, not been detailed enough in my contracts, built an 8’ tall fence on a 6’ tall fence budget. I have taken the wrong set of “final” plans to a custom boathouse build jobsite, only to discover my mistake after the pilings were driven – mostly incorrectly – due to the fact that the piling layout had changed on the true final plans. Your going to make mistakes. Some small, some big, but it is going to happen. “It is not IF you make a mistake because you WILL and what matters is HOW you handle that mistake WHEN it happens”. Own it. Learn from it. Move forward and try to implement practical ideas into your business to keep from making the same mistakes multiple times. You might be asking for some practical ideas on “How to fail forward”. Understanding that honest mistakes can range from technical build errors to more management & leadership mental oversight. How you learn and combat a reoccurrence will be a little different for every person and scenario. A technical build error can typically be physically corrected and you can learn from it by researching better methods or by reaching out to a mentor who is more advanced and by getting their direct advice. When I was working more in a craftsman capacity, I learned a lot by building things incorrectly and then having to tear them down and rebuild them correctly. Only doing so after I determined what I had done wrong to begin with. Some management errors can be from a lack of understanding of the build process and/or from a lack of experience. More exposure to the processes involved and not giving up just because you made a mistake are key. Just as a craftsman hones their skills by repetition of the same tasks over time, the same principle applies to someone in a management role. 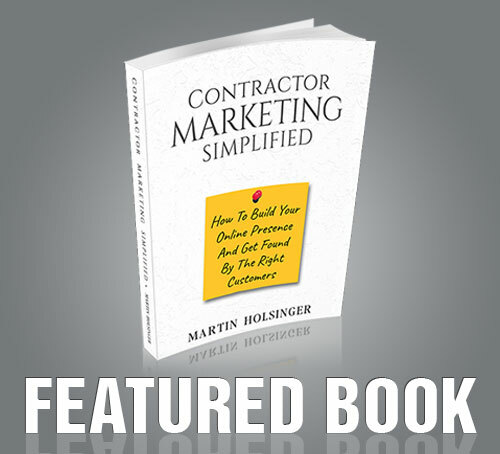 Estimating, Scheduling, Communication, Writing Contracts, etc. are all tasks that can be enhanced and refined. Other management errors have more of just a simple mental lapse aspect to them. These mental lapses can be tricky to pinpoint ways to keep from reoccurring. For example, since the roofing takeoff mistake, I have tried to have someone else who is knowledgeable about the project look over my final estimate. Not so much to pick apart the details, but just from a “does this make sense” standpoint. i.e. 50 squares of roofing material doesn’t make a lot of sense on a 4500 SF building. Find a mentor willing to share their knowledge and experiences with you and when the time comes in your career, be willing to do the same for others.